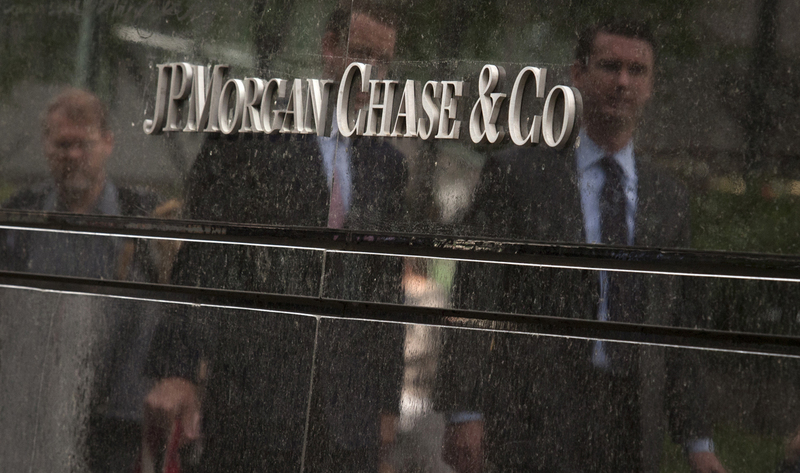 JP Morgan loss: Did US regulators know what CEO Jamie Dimon apparently didn’t? For decades the agencies that regulate the nation’s major banks have had their own employees imbedded in the banks themselves. By Ron Scherer. The regulators run regular exams to make sure the banks are playing by the rules. They get the same reports the top officials of the bank receive. And, since many of the regulators are former bankers, they generally know what they are looking for. So were the regulators on top of the situation at JP Morgan Chase, which announced last week it would lose at least $2-billion in investment bets gone awry? If or when Congress holds hearings on the Chase losses, that will likely be a key question for lawmakers, assuming they invite the heads of the Office of the Comptroller of the Currency (OCC) and the Federal Reserve Bank of New York to testify. But considering that the top echelons at JP Morgan might not have known of the impending losses, the answer to that question might not be very satisfactory. The bank’s loss is a congressional concern because it raises questions about the future implementation of the so-called Volcker rule, part of the financial reform legislation that passed after the collapse of the mortgage market in 2008. The Volcker rule, named for the former chairman of the Federal Reserve, seeks to prevent a large bank failure (that might require a taxpayer bailout) by prohibiting banks from speculative trading for their own investment account. JP Morgan’s CEO, Jamie Dimon, has become one of the banking industry’s leaders in arguing against strict rules in implementing the legislation. “For sure, this JPMC episode will give regulators some backbone in holding firm,” writes Robert Bench, a senior provost fellow at the Boston University Center for Finance, Law & Policy and a former deputy comptroller of the currency in the Reagan administration, in an email. However, the Volcker rules have yet to be implemented, pointed out the OCC in a statement on Tuesday. “Even if both (the Volker rule and Dodd-Frank) were assumed to be in effect, the transactions at issue are complex, and whether they would qualify for exceptions under the statute or proposed rule requires careful analysis,” it said. The regulators, meanwhile, should have had plenty of warning about the problems brewing at JP Morgan, some analysts argue. On April 6th, the Wall Street Journal and Bloomberg News both wrote a story about a Britain-based JP Morgan trader, called the “London Whale” because of his enormous financial positions in the derivatives markets. Derivatives are instruments designed to replicate the price movements of a basket of items such as currencies, commodities or stocks. They can be used by financial companies to hedge their positions. “One would have thought after the Wall Street Journal article about the London whale, the OCC and the Federal Reserve would have been making inquiries as to the substance of that story and looking into the activities of the trader and the size of the position and the risks inherent in that position,” says Mr. Bench in an interview. However, some wonder whether – even if the regulators discovered the trades – there was anything that should be done. So far, the regulators themselves are keeping quiet about what they did or did not know. Neither the OCC or the New York Fed would answer a direct question whether they were aware of the large loss. Former bank regulators, however, think the regulators probably only were aware of what the senior management of the bank knew. In short, they most likely were not aware of the burgeoning losses. “They can only know as much as the banks themselves know,” says Robin Lumsdaine, a professor of finance at American University’s Kogod School of Business and a former associate director at the Federal Reserve Board in Washington. According to a former OCC official who has been involved in bank supervision, regulators can challenge reports if they don’t feel they are accurate, but they generally like to use the reports management uses. “It gives them a window into what senior management is looking at,” says the former official, who did not want to be further identified. The former OCC official, now at a private investment firm, says another red flag for the regulators should have gone up if JP Morgan began to change the way it accounted for its trading activity. Normally, banks consider their trading to be short-term events. However, JP Morgan moved the derivatives activities to the Chief Investment Office, which implies that it expected to hold the derivatives for a longer period of time. “If that happened, the regulators should have become a lot more active,” says the former OCC official. In the future, the OCC has indicated it will be closely monitoring JP Morgan as well as other financial institutions. Mr. Bench says that will be necessary, in part, because JP Morgan has yet to extricate itself from its positions. Photo: Commuters are reflected in stone as they walk past the JP Morgan headquarters in New York on May 11, 2012. Stocks fell at the open on Friday after JPMorgan Chase & Co revealed a trading loss of at least $2 billion from a failed hedging strategy, dragging bank shares lower. REUTERS/Eduardo Munoz.